For people like me, who were still wearing shorts to school in 2003, the Aquila (then launched by Kinetic) was the stuff of dreams. 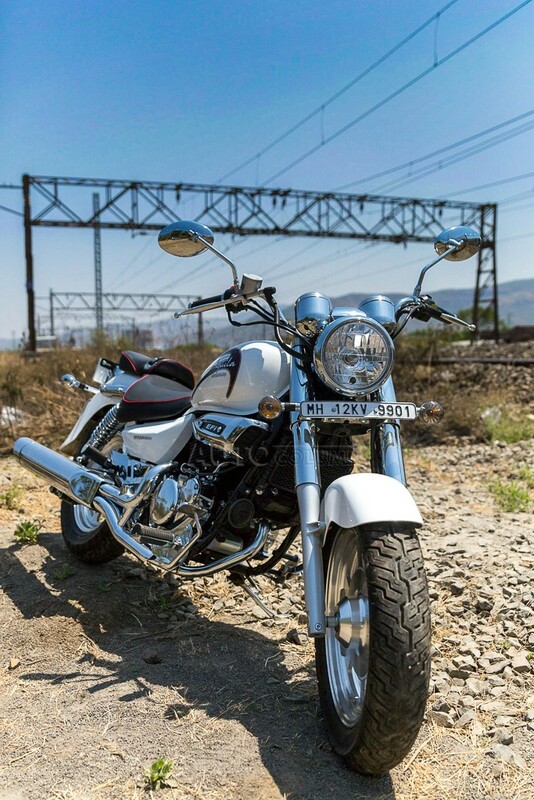 So when the opportunity to test the new Hyosung Aquila 250 came up, I did not think twice before confirming my presence. This was also the first Hyosung I was riding so naturally was very excited about having a go on the 250 cc cruiser. When we reached the brand new Hyosung showroom, we were greeted by a lot of reflective chrome thanks to the Aquila twins and the three ST7 cruisers standing there. The GT650R and its younger sibling stood elegantly at two of the corners. Only after you finish leching at the chrome, can you truly see the retro look in the Aquila. Keeping the rider comfortable whilst not tiring him/her is a very difficult task and many cruisers fail to deliver on that. Not so with the Aquila. 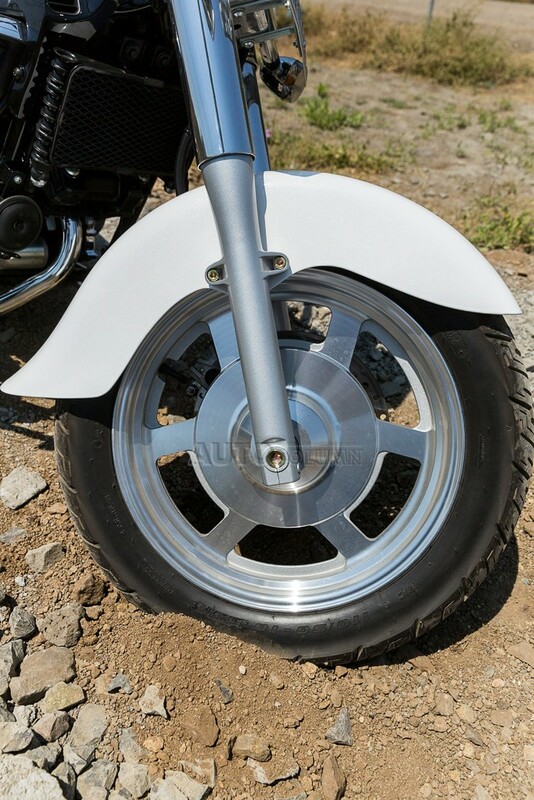 The Aquila absorbs small potholes and road variations without a fuss. By the end of the day, we didn’t even try to swerve when we saw some potholes and neither did we slow down. It’s the really big ones you have to worry about as the short suspension makes it difficult for the bike to absorb the bumps and they hit you hard, really hard. 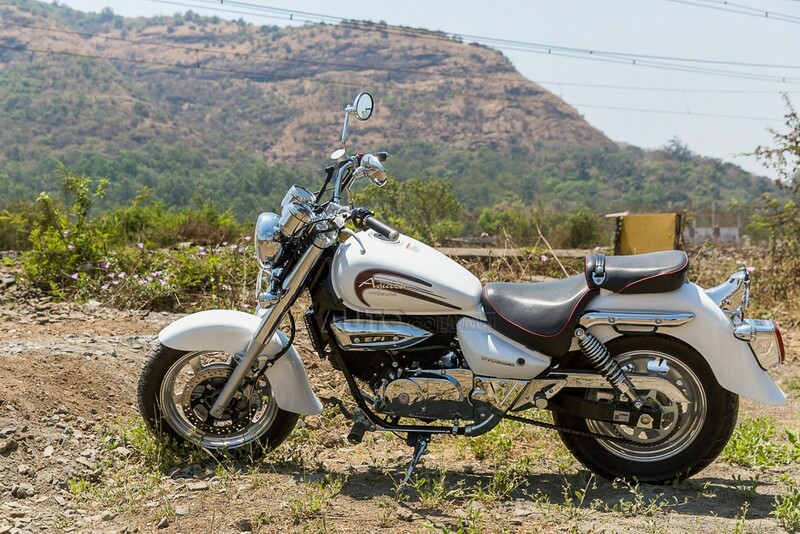 The swept back handlebars, brake and gear shifter placement, firm seat and the wide fuel tank make sure that your ride position is very comfortable. Continuous runs did not feel tiring or uncomfortable at any point. The slight step between the front and the rear seat gives enough back support and keeps you in place. As far as the vibrations go, the engineers have done a very good job in keeping them in check. It is only above 6500 rpm that you notice the vibrations, but you rarely need to stretch the bike to this limit. For a bike this large, it turns quite well allowing you to turn in at higher speeds and sharp angles. When approaching a turn at speed, just point towards it and the Aquila will follow the curve easily. Of the many times we put it through the paces only once did the bike feel a bit floaty at 110 kmph but that can be blamed on the road quality, or rather lack of it, as well. All the other times it oozed confidence and never did it feel like it was going to bite us in the rear if we pushed it too hard. 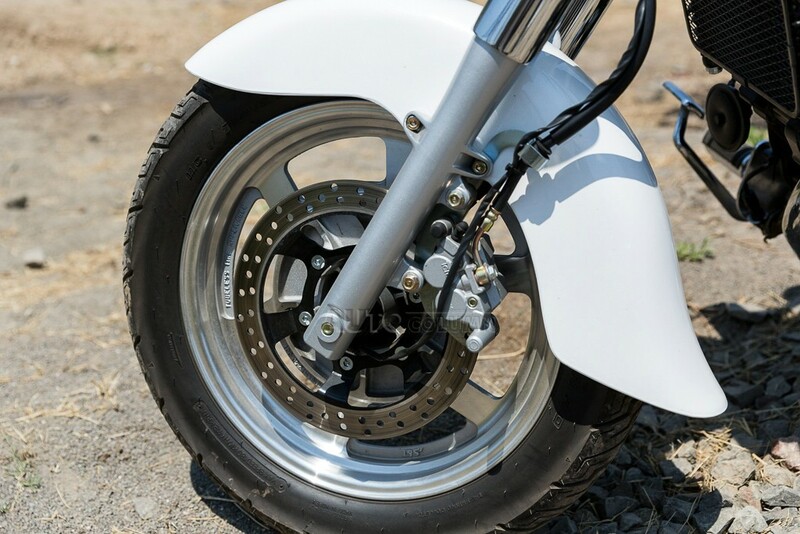 The brakes work very well to cope with the inertia of the bike at high speeds. Never did the brakes lock up and throw us on the ground. But at this price, a rear disc brake is a necessity, if not that, then at the very least it should be available as an option. We also hope the company plans for an ABS version soon. Start the engine and you notice the engine revs upto 2000 rpm and then settles down at 1500 rpm. Shift it into a gear and ease the clutch and you’ll immediately notice how much torque the motor actually has. Although the bike develops 21.4 Nm of torque at a very high 7000rpm, the power delivery is so linear, it makes you believe it has much more. If you are cruising at 60kmph in 5th gear and need to overtake a huge trailer, you can do so without shifting down a gear. Just blip the throttle and the bike pulls itself easily. It is really one of the positives of the bike. 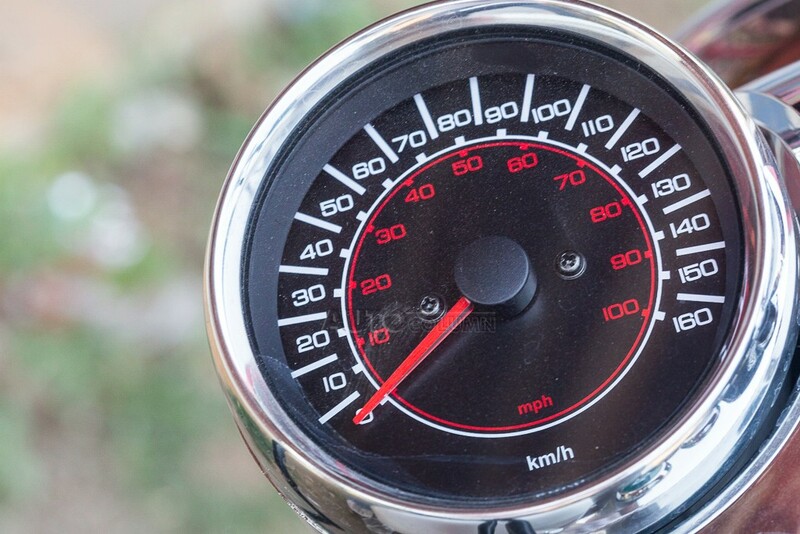 On really good roads, you can easily cruise at 100kmph with the engine running comfortably at 4500rpm. The 250cc V-twin liquid/air cooled engine now comes with fuel injection and generates 26.5 bhp at 9000 rpm. We say liquid/air cooled as the bike has a radiator as well as fins on the two cylinders and both these work together quite well to keep the engine running cool. 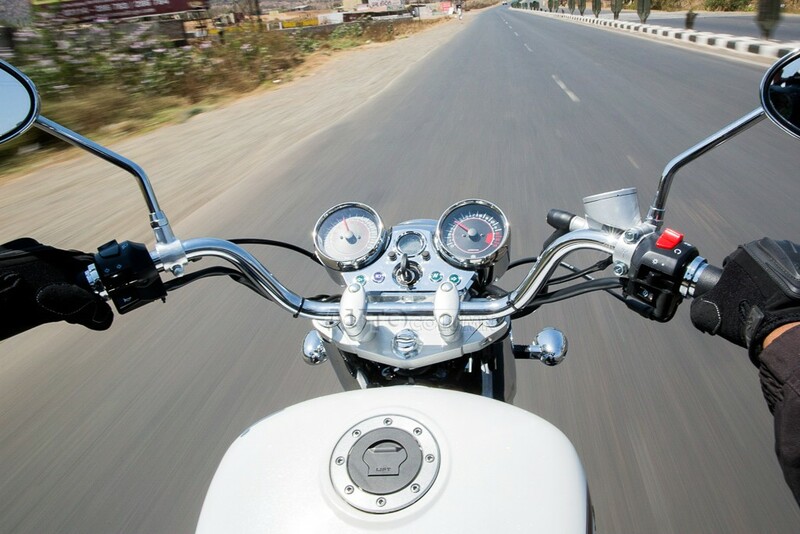 All the power you need is readily available in your hands but once you cross 110 kmph, it loses steam. The max we could reach was 115kmph with a lot of effort just to hold on to the bike. A front visor should help with that. Another good thing we noticed was that unlike other cruisers, the Aquila exhaust sound is very sublime and composed. It is very confident of the speed you want to ride at and doesn’t egg you go faster all the time. The gearbox is surprisingly smooth and the gear ratios are well balanced for Indian road conditions. Upshifting even at 2500 rpm does not leave you wanting for power. Shifting into neutral from 1st gear is a bit tricky and needs getting used to. 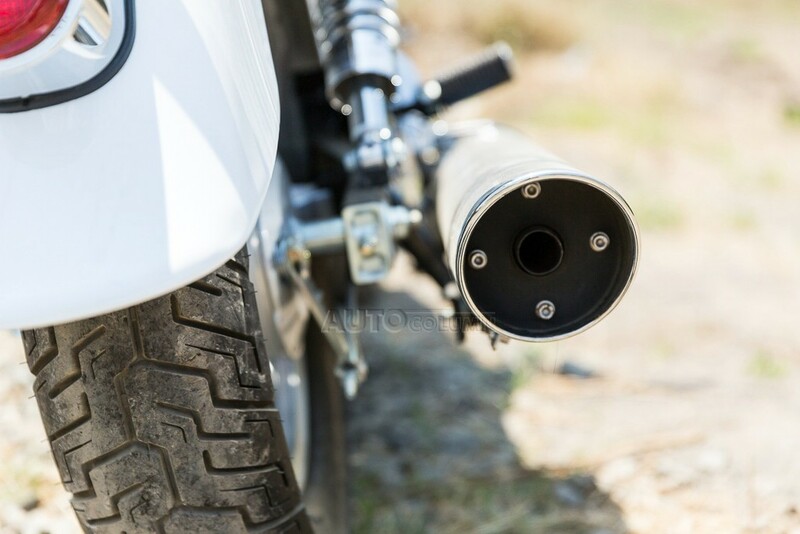 The 2×1 exhaust produces a very distinct sound to announce the bikes arrival. 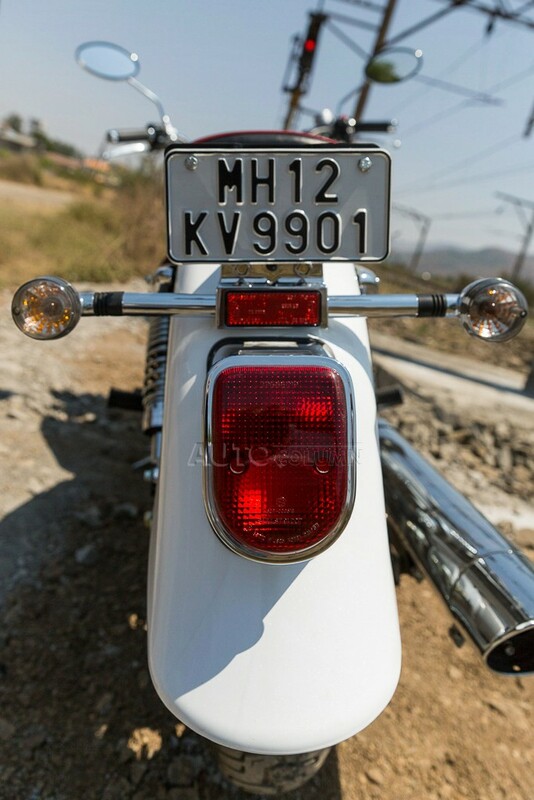 At traffic signals the bike does grab a few eyeballs but more so due to its sound and not its looks. 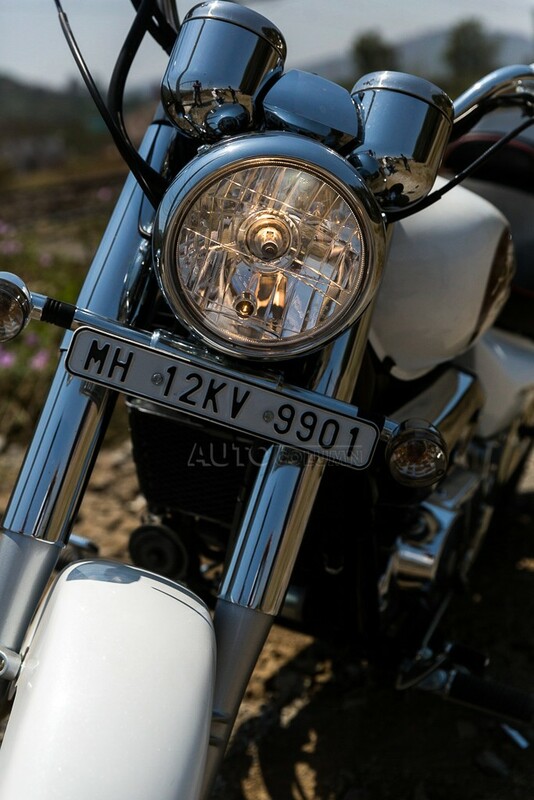 In bright sunlight many people will notice sun reflecting into their eyes due to all the chrome on the bike. 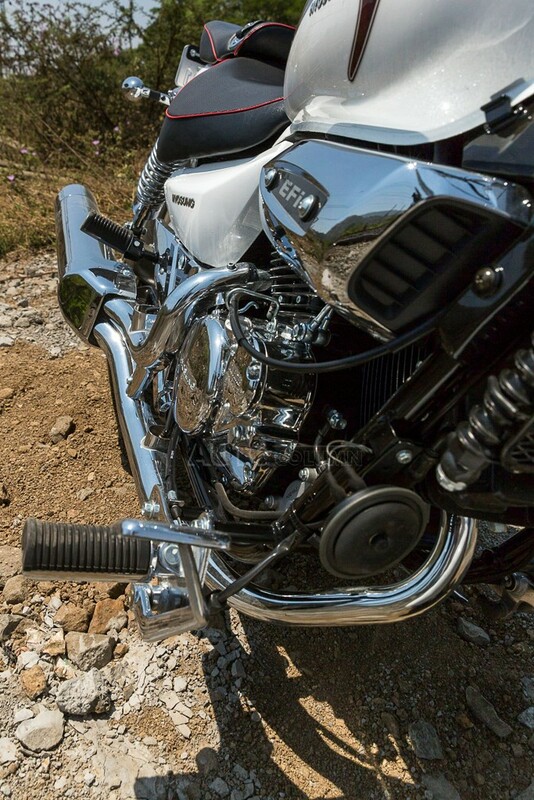 On a personal level, the amount of chrome on the bike is very high to my liking. 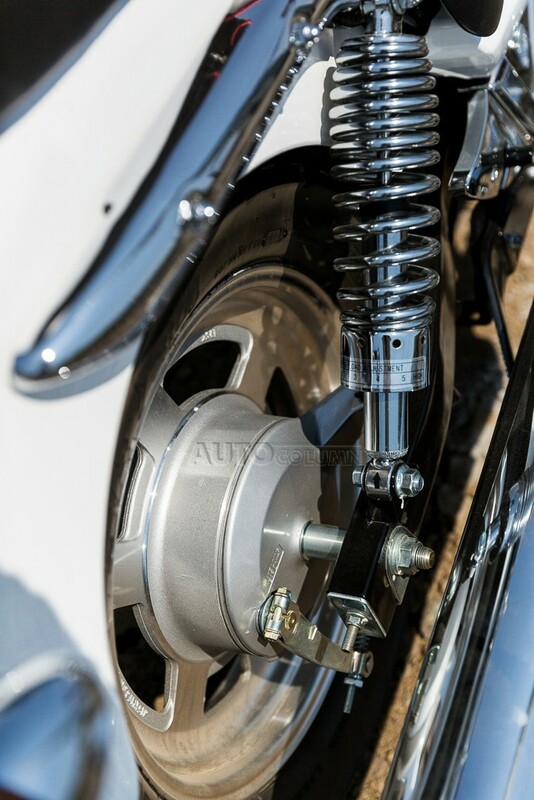 There is a distinctive “Y” embossed in chrome on the gearbox which may signify two cylinders and the 2×1 exhaust. The rear license plate has an odd looking fixture (fully chromed, obviously) behind the rear seat. The taillamp sits below this with indicators on either side. A grab rail is hidden under a chrome garnish on the left side. For some reason, unknown to us, there is no grab rail on the right. 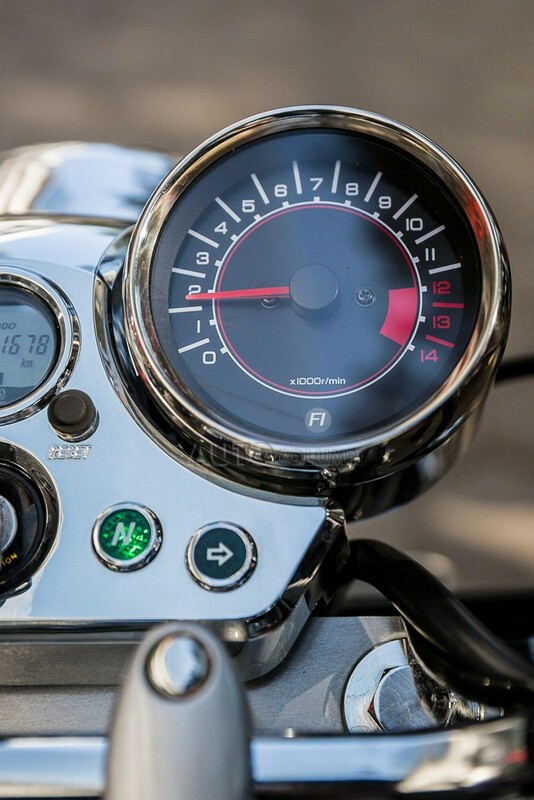 The instrument panel sits at the centre of the handlebars which isn’t the standard for cruisers. Hyosung should have adapted this from its elder sibling, the Aquila Pro or the ST7 where the panel sits atop the fuel tank. The instrument panel adds quite a modern touch with a digital display which shows the remaining fuel, odo, a clock and 2 tripmeters. The leather seats are very firm yet do not feel uncomfortable even after riding for a long time. The black surface with red beading adds to the retro styling of the bike. 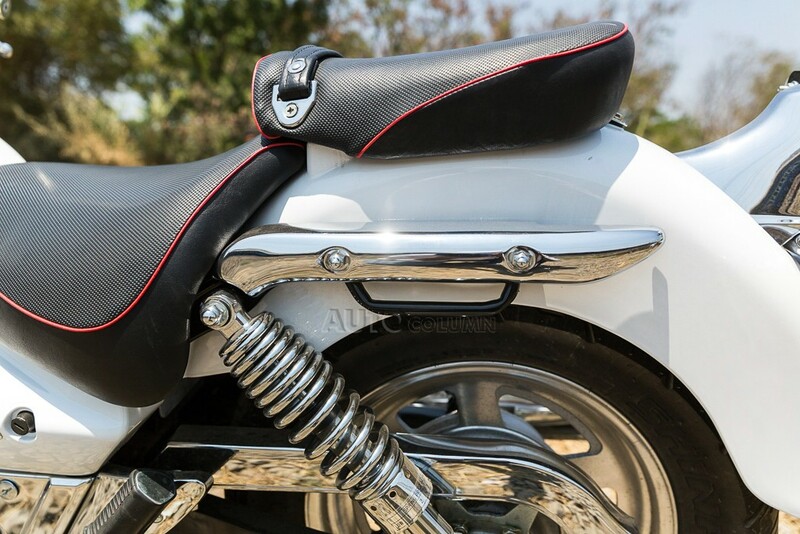 There is a strap of leather on the rear seat for the pillion to grip onto in case the rider forgets about the passenger and rides hard. The switches of the Aquila 250 are of decent quality. The pass switch is placed very far and only the tip of my finger could operate it. The indicator switch refused to switch off unless you prod it very hard. The headlamp and the engine kill switch are placed correctly. The fuel level indicator takes a lot of time to tell the amount of fuel left. If you have half a tank available it will shows only one fourth remaining. It will read the correct value only when you straighten the bike and wait for a few seconds. 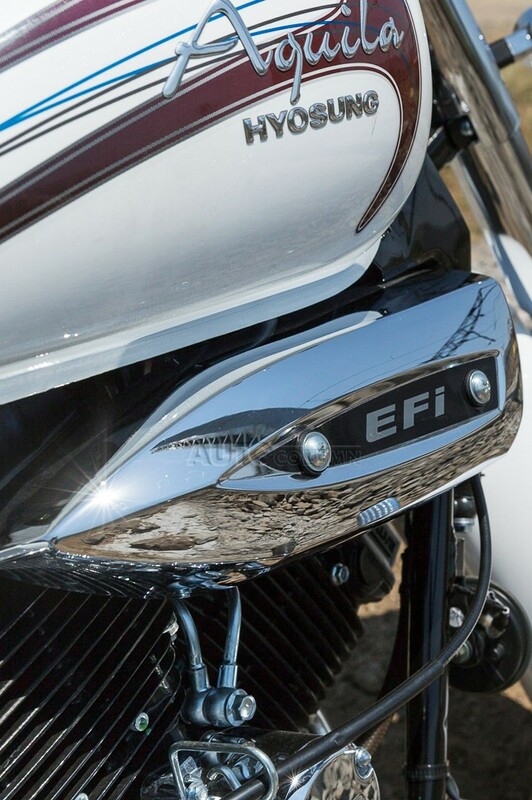 An air dam under the EFi badging had us guessing where it led to until we realized it was a fake. The actual working one lies just above the fake one, beside the radiator. The radiator itself comes with a company fitted mesh to protect it from any damage. A good point there for Hyosung. The wires from the instrument panel which go the body frame are well hidden between the front forks. The brake wire below the foot rest is exposed for some reason. 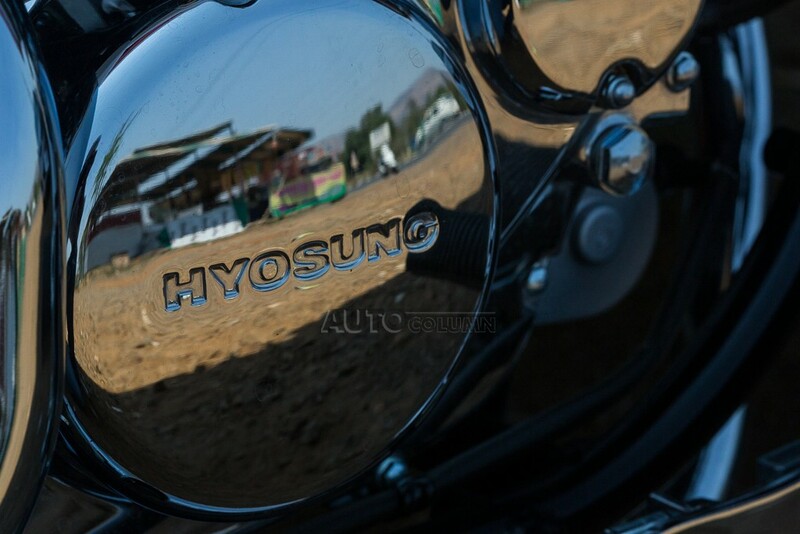 A small rubber cover wouldn’t have cost that much eh, Hyosung? There is a small space below the front seat for documents, a tool kit and a first aid kit. The black turn-key switch for opening the seat looked out of place in the nice white body panel. 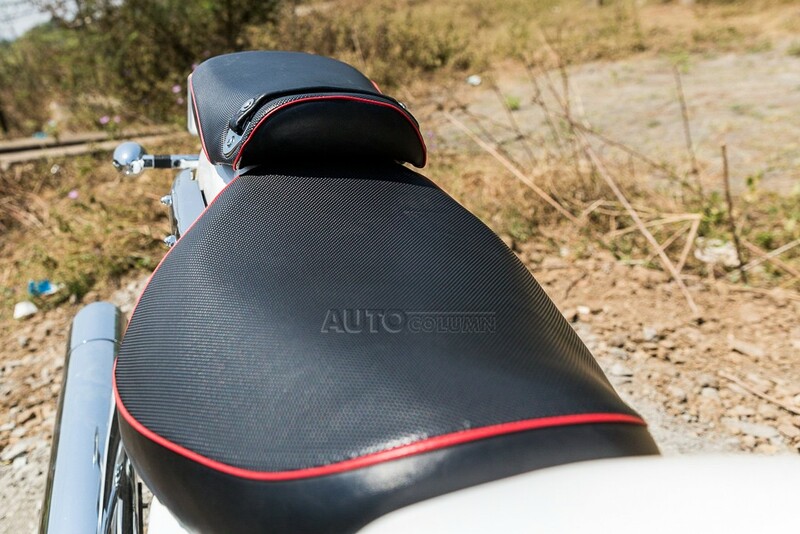 The rear seat is fixed and flat, it needs to be curved to provide something to prevent the pillion from slipping off. A back rest as an option should have been made available by the company as holding the strap for a long time makes your fingers ache. To get the right photo, we had to adjust the bike angles according to daylight and the Aquila was very easy to move about without turning on the engine. Mind you it weighs 179 kilos. Very helpful to get in and out of parking spaces though. If you are in the market for a cruiser and the Harley is on the higher end, the Aquila 250 makes perfect sense. Hyosung currently imports it as a CKD and hence is cheaper than before but it still is a pricey motorcycle. There really aren’t any other cruisers in this price segment and no we won’t insult the Aquila by comparing it to the good old RE. 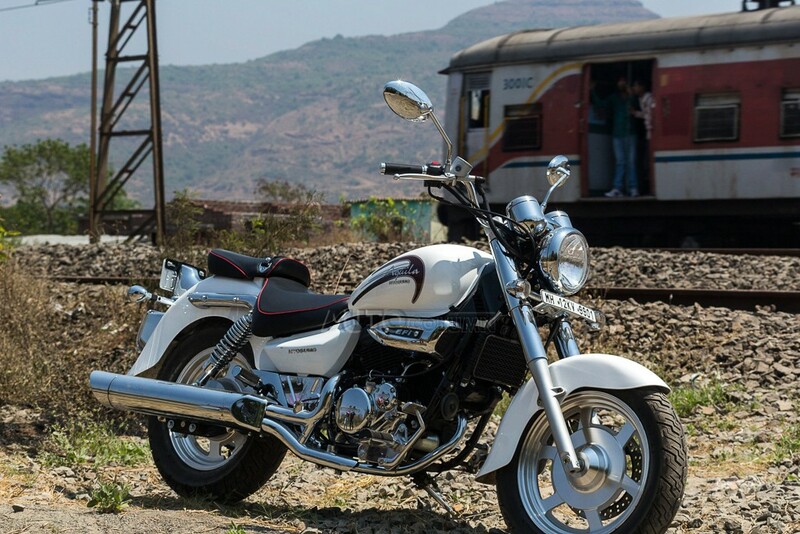 The good ride, easy maneuverability and good quality are three things which make the Aquila a good buy. The price is the only grey point about this bike. The other cons are very small to put you off from buying the bike.